So as many of you already know, Jimmy and myself have been working away on this for the last while. With the help of the forum, we have managed to get this complete. Pretty pleased with the result, will definitely be keeping this one in my own collection. excellent work lads, looks amazing.. would love one in the collection. 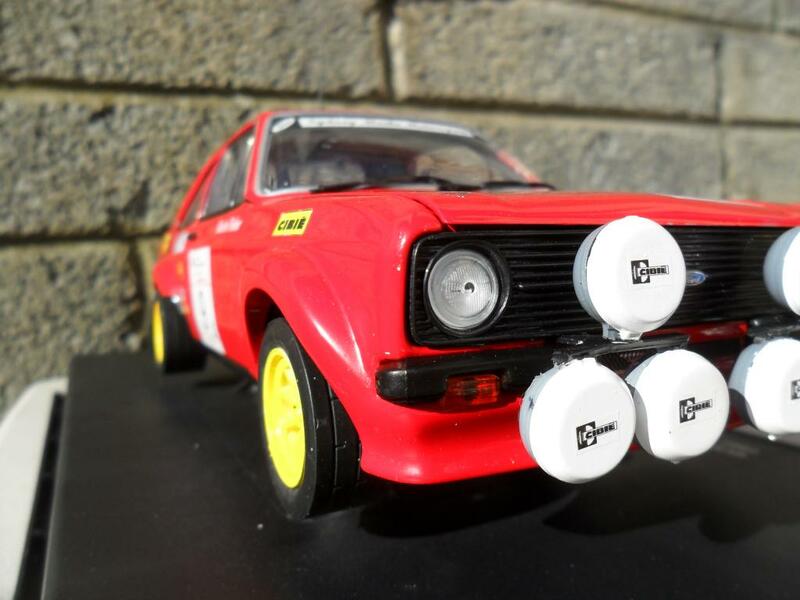 as I had the 1/43 and only sold it as Im more into my 1/18s..
cheers for info, yea if someone would be kind to decal one for me that would be great, when is decals on sale? Decals will be on sale the end of next week Mark. Price will be €30. 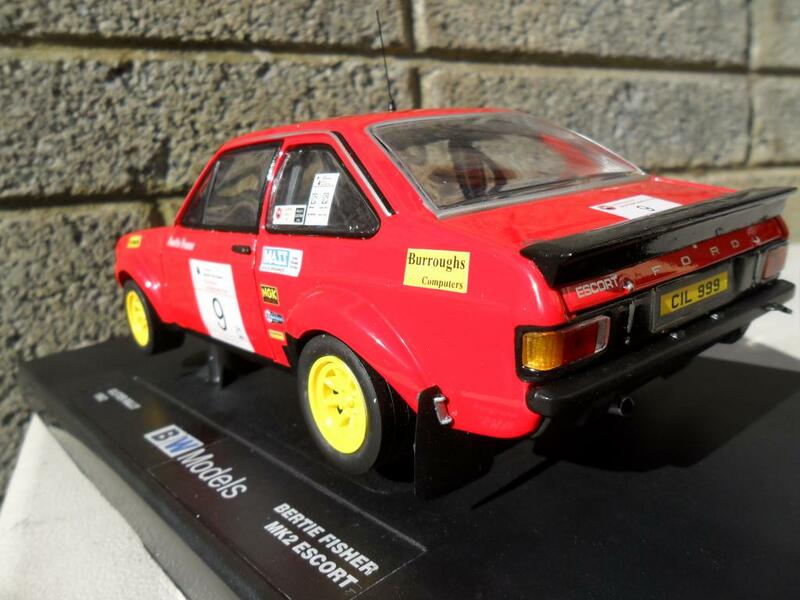 Lads of any of you need a Clark Welsh Rally model I was at the Ford show at the Port on Sunday and Orchard Motors port had 3/4 of them for sale at £50 each. They were still there in the evening so could contact the shop. 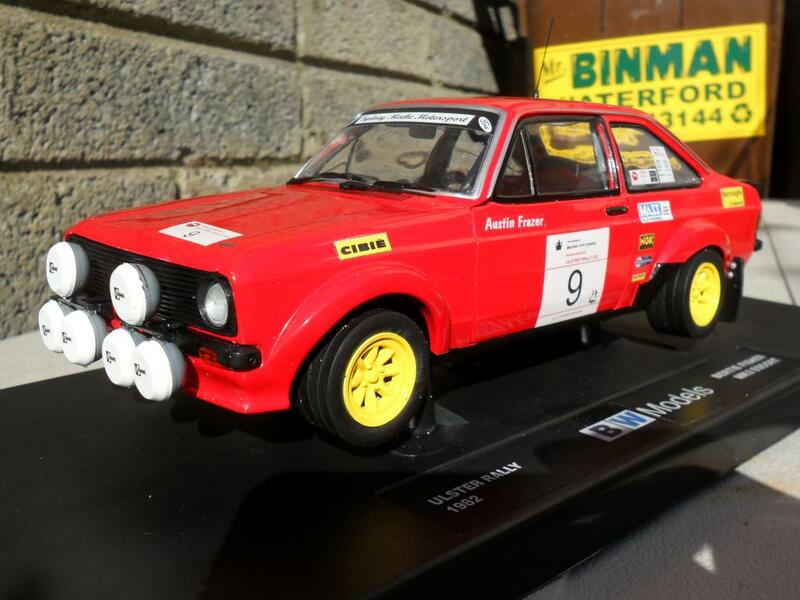 pm on its way jimmy, can I ask lads if the red of the Cossack car is the right red or at least close enough, or did you have to repaint............also did you make up the triple lights yourself or justuse a vatanen black-beauty set/car? cheers guys and well done! Red Cossack car is the correct colour, theres really not a lot that needs to be done to convert it. 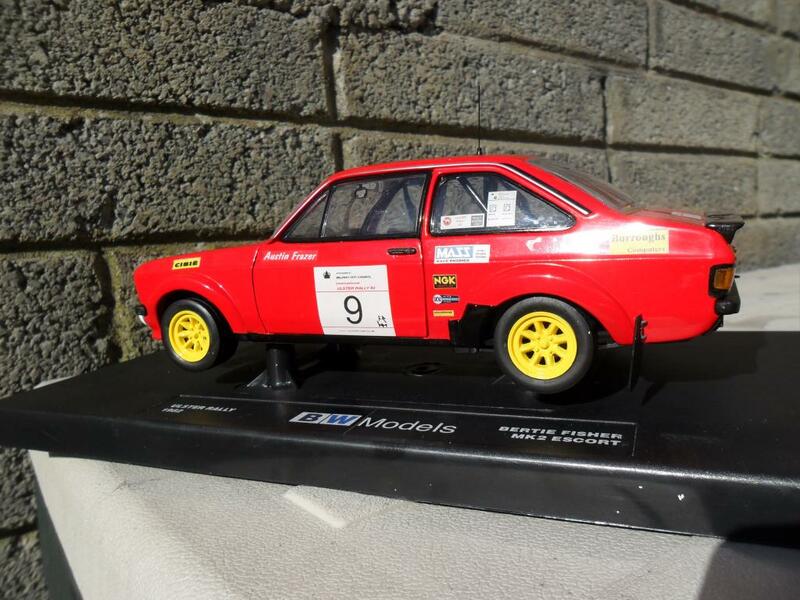 Great work guys, looks a cracking model, well done! brian, cheers m8, though I didn't even know I had a 'skills set' lol!!!! chris............me too, and I was thinking the same thing lol!! brian wrote: So as many of you already know, Jimmy and myself have been working away on this for the last while. With the help of the forum, we have managed to get this complete. Pretty pleased with the result, will definitely be keeping this one in my own collection. Not my work. I just asked Brian if he could do the decals for the model. Its Brian's work with a bit of help from Billy and Noel on what the decals were. Anyone that is looking for decals contact Brian. A big thanks Brian for making this work. brian wrote: Red Cossack car is the correct colour, theres really not a lot that needs to be done to convert it. anymore word on decals brian, give us a shout as soon as u need payment please, thats if I got in on time for the list? Beaney wrote: anymore word on decals brian, give us a shout as soon as u need payment please, thats if I got in on time for the list? Dont worry mark, your on the list. 6 sets including my own are gone, so still 4 left. Might throw them on ebay and see what happens.